Grind dried garlic into powder. 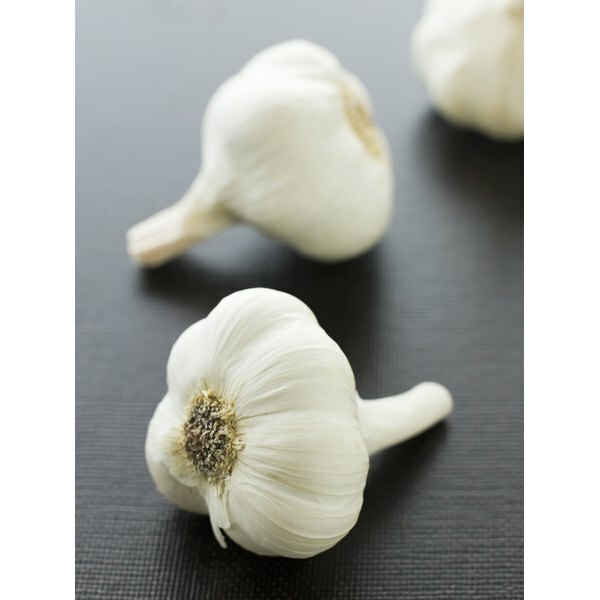 Make your own garlic powder by drying, or dehydrating, garlic cloves. After the cloves dry, ground the garlic to make homemade garlic powder, which is often more flavorful than store-bought garlic powder. Peel back the paper from the cloves of garlic. Cut out any bad spots with a knife. Cut the cloves in half lengthwise to significantly reduce the time it will take to dry. Place the garlic slices on a baking sheet. Heat the oven to 150 degrees Fahrenheit and place the garlic in the oven. Turn the slice often until dry. Place the dried garlic in a coffee or spice grinder and grind until the garlic turns to powder. A food processor usually does not grind finely enough for this step, however, you may still use it to grind the garlic. You'll just need to find another use for the small clumps of garlic that don't get ground up in the food processor. 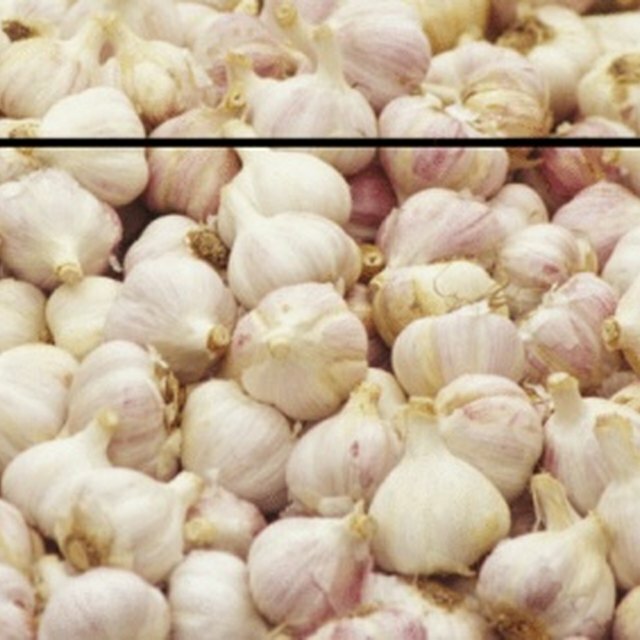 Place the ground garlic in a container and store in a cool, dry area. Use homemade garlic powder in recipes as you would normally use garlic powder. Can I Freeze Sliced Lunch Meat?